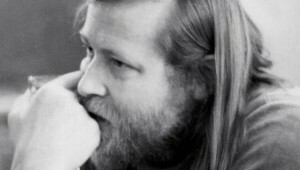 Du durchsuchst gerade das Archiv des Tags ‘Conny Plank’. 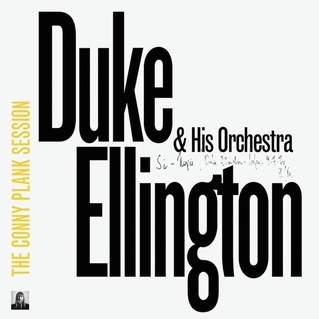 At first sight it seems no evident match: the then world-famous band leader Ellington (1899-1974) and the now legendary producer Conny Plank (1940-1987). 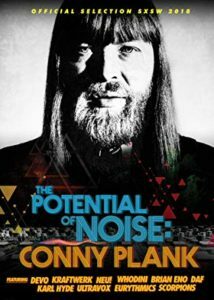 Plank played a crucial role in shaping the recordings of music of Kraftwerk, Neu!, Guru Guru, Dieter Moebius, Holger Czukay, Scorpions, Einstürzende Neubauten, Eurythmics, Ultravox, Echo & Bunnyman, Clannad. The Duke and Plank met in 1970 at Plank’s Rhenus studio near Cologne. 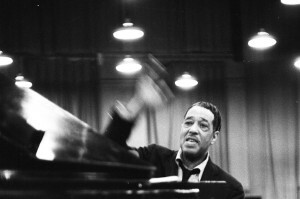 Ellington was rehearsing with his orchestra at the studio and Plank recorded it. It is well established that it happened but yet unclear when, in april or june.of that year. 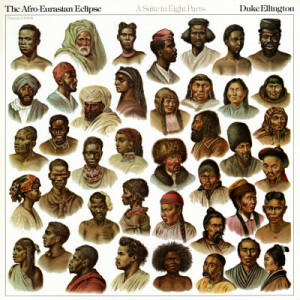 Also about the line-up there are some still open questions: who is the female vocalist on one track? into avant-garde realms. It is worthwhile also to listen to the recording of the piece made in New York in February 1971 contained in the Ellington-album The Afro-Eurasian Eclipse (OJCCD). The Plank-recording is much opener, sharper contoured with less orchestral hierarchy. It is edgier and the voices involved are more equal. The recording in Plank’s studio gives some interesting insight in both Ellington’s approach as well as that of Plank which became legendary and influential. Its is sensible and plausible to assume that Plank really worked on the pieces with Ellington in the studio. Plank was known as very sincere in choosing his musical partners. When Brian Eno suggested Plank to do the recording of U2’s Joshua Tree, it seemed that Plank have turned it down due to the singer he thought he could not work with.